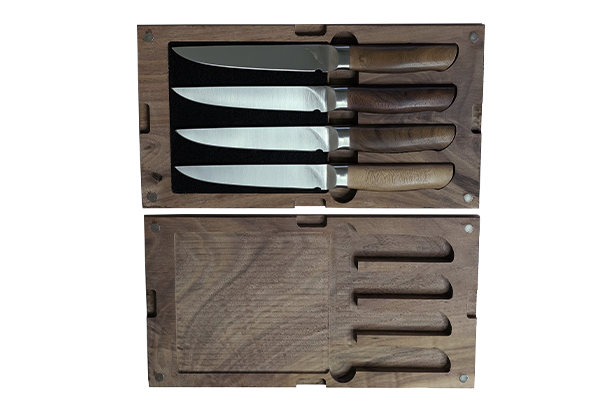 Handcrafted in Willamette Valley Oregon, Ferrum’s Reserve 9″ Carving Knife features a handle made from reclaimed Black Walnut contoured to fit perfectly into your hand. Each blade is forged from tough American steel, then hand sharpened to a 16 Degree “apple seed” edge for long-lasting cutting performance. 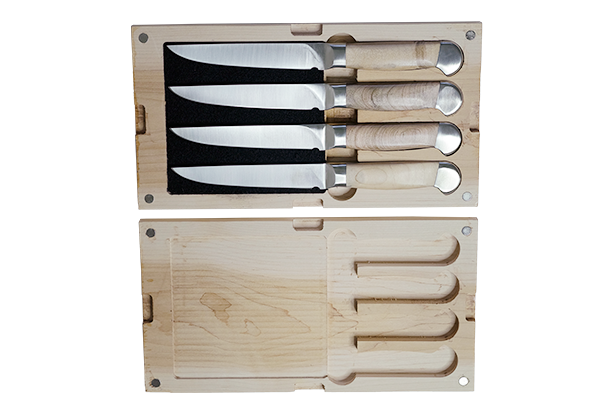 Our Carving Knife features a long, narrow blade excellent for cutting thin, uniformed slices from large roasts, hams, & turkeys. 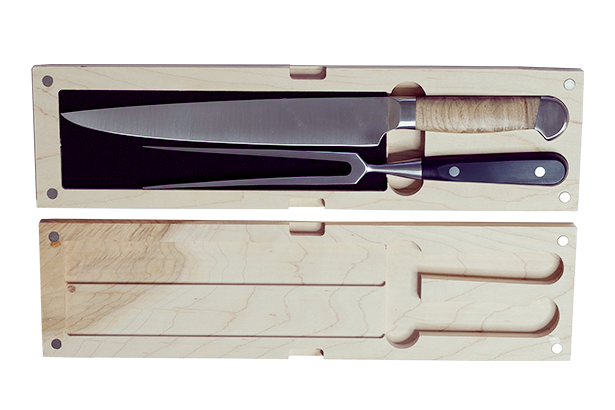 The pointed edge and ridged tip help to cut meat away from the bone and the long blade reduces the need for sawing.